Do these procedures also apply to 50amp? 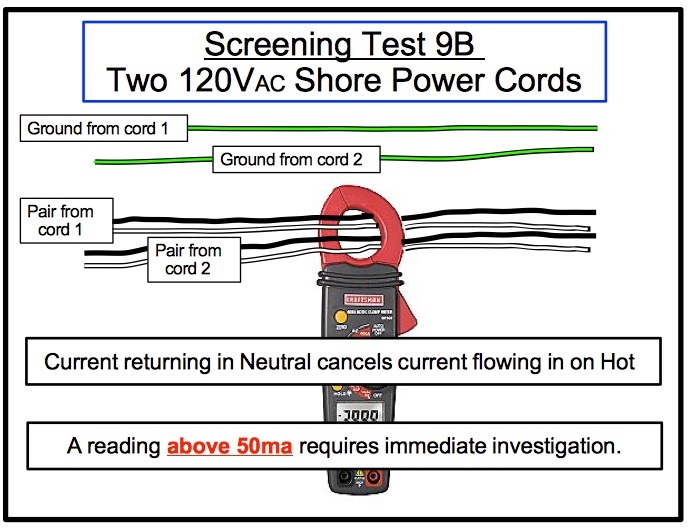 This article as written does not apply directly to 240V, 50A shore power service for boats. That said, many of the concepts are the same. 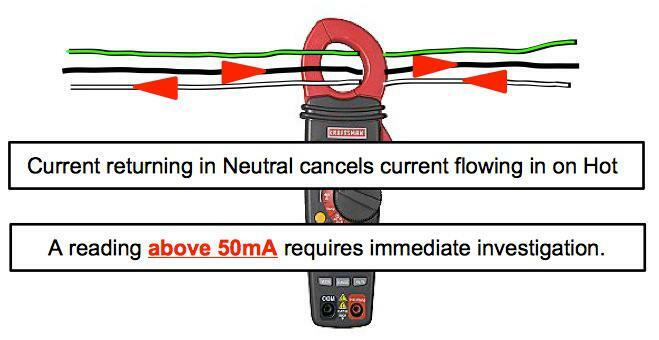 Principally among them, when on shore power, neutrals and grounds must not be cross-connected on the boat, so that affects the choice of switch gear installed aboard which is used to switch between shore power, inverter and genset operation. Tests 9, 9A and 9B would be done the same way: 9 is the same, clamping around the outside of the entire 50A cord; 9A is clampped around white, red, black, but excluding green; 9B is the same (green-only, excluding everything else). Also, the AC safety ground must be connected to the DC negative buss. But some stuff is different. “Reverse Polarity” would have a different meaning in a 240V system, and what constitutes a “nominal” voltage reading is more complicated. For example, both 120V/240V and 120V/208V are “nominal” for boats, but both 240V and 208V can also be indications of a fault, and it’s up to the boat owner to know when these readings are OK, and when they aren’t, and why. I plan to work up an addendum with a set of tests for 240V, 50A users. It was just too much to bite off all at one time. Just finding a presentation format that would work took significant effort, and tables are not supported by free WordPress, so I had to learn the HTML to work with them. Still learning, but it keeps my mind occupied. My article entitled, “Emerging AC Electrical Concern,” is also published in this month’s issue of the MTOA Turtle Times. Feedback appreciated! I just read it last night, our St. Brendan’s Isle mail delivery just came in. Nice coverage on background, as you know the shore side code continues to evolve in committee. And it seems like everyone has an opinion. I’ve kept in touch with David Rifkin, the engineers at Eaton, MEE, Bellingham, Bender, and even Ed Sherman. There are actually two thresholds to work with, current and time, and both need to play in a successful selective tripping system which isolates at the lowest common denominator. In addition the salinity of the marina water both effects the risk ESD’s and the approach to monitoring and isolation. Also the technique used to determine leakage is important as some systems just measure flow on the ground line, while others use a kirchoffs sum to determine losses. We have developed several mitigation schemes to allow power-leaking transients to dock at the new yacht club marina, while we wait for the reworked power system to be completed. Great article and easy to comprehend for us novices! Thanks for the contribution. Very, very good article. I am not a boat owner, but an electrical engineer. Last summer, I spent several weeks along with another electrical engineer inspecting and documenting electrical systems for many of the Michigan State owned harbors; performing many of the “tests” listed in your article. It is refreshing to see there are boat owner’s out there that recognize the issue. The most common story we were told was that the marina (shore power system) is at fault…..
And by the way, the 2017 National Electrical Code (as proposed right now) would add the ground fault protection requirement to all residential marinas as well. 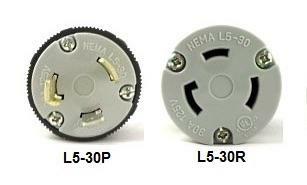 Splitters that are pervasive in the market today add a new dimension to all this, too. Consider the case of a boat with two 120V shore power circuits, AND a true leakage fault caused by the two neutrals being cross-connected on the boat. A splitter that adapts two 120V females to a single 50A male at the pedestal brings the neutrals back together outboard of the 50A EPD. That in turn masks the presence of the true fault. 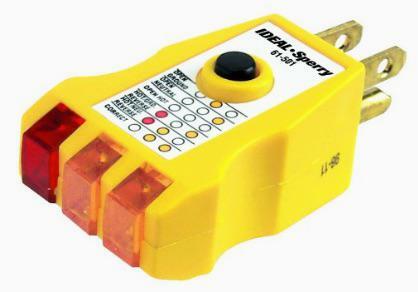 With a 50A shore power service fed by a reverse wye splitter connected to two 120V feeds – either “smart wye” or “dumb” – clamping the 120V cord segments can/will yield misleading results. This case appears exactly as the case of a boat with two 30A cords with the neutrals connected together on the boat, so current splits, returns in the parallel neutrals, and gives false positive conclusions. But, it’s still way better than what we’ve had from a safety perspective, and it will force owners to clean up their boats. Thanks for your website; well written, logical, instructive – and enjoyable. I’ve only been in boating for 3 years and your organized information is helpful [I have a 1988 Trojan International 12M w/ twin Cat 3208 TA375/435hp, into which we too have invested a fair chunk of change]. Question re your AC Tester: can any clamp ammeter be used [I have a Mastech] or do I need the expensive one from Fluke [the model 360 specifically for leakage tests]? For screening testing, any reasonable quality clamp-on tester will work, and if yours has a scale(s) rated for 0mA – 1000mA range, it’ll be fine for screening. I use a Sears clamp-on ammeter. To be truly diagnostic, a laboratory quality instrument like Fluke is needed. My sears probably does lose some precision at levels of less than 100mA. My assumption is, the “average boat owner” isn’t going to try to remediate AC electrical leakage problems DIY. The average boat owner – the audience to which I try to write – isn’t going to be willing to invest in a Fluke quality meter, but I do want everyone to invest in a meter that will do the screening job. For the average boat owner, the Sears unit is fine; good enough for screening. If the screening tests expose a problem, I recommend boaters call a professional to take it from there.